If you want to know about growing fruit in Canada, The Exotic Fruit Nursery should be your first stop. 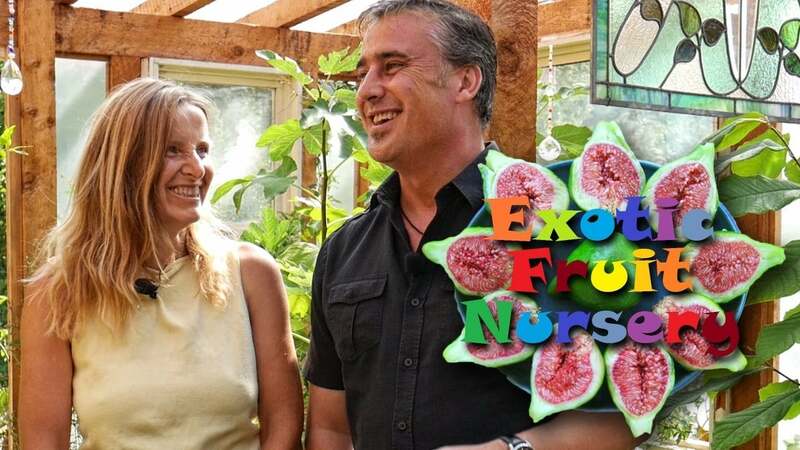 The Exotic Fruit Nursery, located on a few acres of land in Roberts Creek, BC is owned and operated by Annette Clarke with the help of her son, Nicolas. Born in Germany, Annette moved to Vancouver fifteen years ago while performing research in Squamish as part of her studies in geography, biology, and forest ecology. There, she met her husband and the pair had a son. After the sudden passing of her husband, Annette decided to leave the city, first moving to Halfmoon Bay, then nine years later to Roberts Creek. Last fall, I had the opportunity to meet Annette and tour her Exotic Fruit Nursery. Inside her greenhouse, Annette taught me about growing fruit in Canada and showed me a variety of fruit barring plants, including some that have edible flowers. Annette enjoys sharing her deep knowledge of her plants, including their origins and history. Plants in her greenhouse showroom range from $10 to $55 and she says that there are no special skills required to care for them.